This week, in our Writing Workshop, I had both kids and adults talk about their perfect vacation. As we are about to end the summer, it is something that has been in all our minds… so I wanted to see the differences between what both camps considered the most awesome way to spend a holiday. Today I am going to go catch the airplane to Candy City. Now I’m here. I never knew the floor was made of solid chocolate. Candy City is an amazing sight. I will explain it to you. The walls are made of Laffy Taffy. The houses are made of Pocky. It’s time to sleep. It’s time to leave now. The other kids wrote some less extravagant destinations, such as Korea (one of the girls was visiting her best friend), Israel and Hawaii. The Boy who described Hawaii did such a vivid account that I thought he had been there in the past for sure! I was stunned to find out he’s never been before! I think their ability to express themselves in writing is getting better every week. I’ve always wanted to go to Turkey. See the natural wonders of Pamukale, see the blue mosque, the Hagia Sophia. But the perfect trip also includes traveling with the perfect person. Someone in love with finding and discovering. Someone daring, but not pushy. Someone who loves to learn and share and dive deep into the culture that surrounds him or her. I’d love to stay there in the city of Istanbul for at least a month, get to go to the best restaurants, see movies, meet the local artists and sites. At night I would go to an oriental style palace with a great pool and a spa to soak in the experiences of the day and assimilate them. Then some dinner with great conversation and comparing notes of the wonderful experiences of the day. Right before bed, while sitting outside with a wonderful view, to be able to write and put in print all the sensations, flavors, sights and feelings. That would be my perfect vacation. With the other ladies of the group, the perfect vacation experience varied wildly, from a daring escapade with an old flame to a vacation to the beach alone. Everyone definitely got going with this writing prompt! 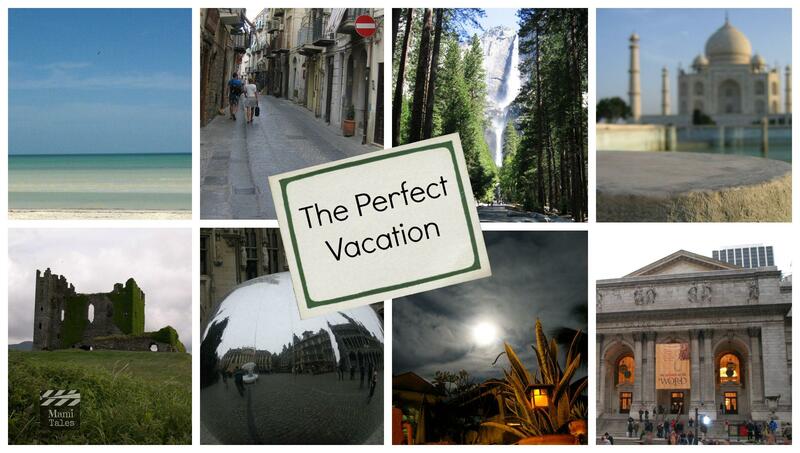 So… where would you go on your perfect vacation?